A blog is an excellent way to speak out your thoughts and minds to a larger audience across the globe. It’s a great way to share your experience and knowledge. Professionally you can be from any fields; there is always a group of audience to gather experience from you. Many people, starting from individual to a business background, uses blogs for driving traffic to their website as their online marketing strategy. 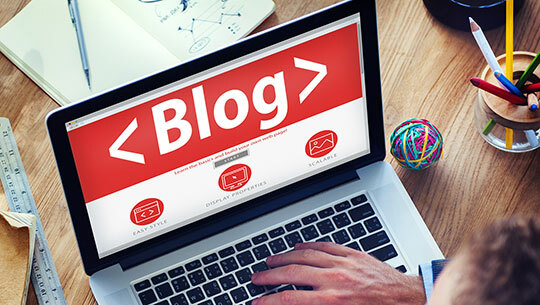 A blog is very important for any website for increasing their SEO and SERP. Not only that you can develop a very good and better customer relationships. So in short, having a blog is very good for your website and for your business. Creating a blog is very easy; you do not even need to spend any amount. You can create a blog absolutely free of cost using any of the following great blogging tools. Although there are many free and paid blogging platforms available in the market, here we are going to discuss on 10 best and free platforms for creating a blog. Recommended reading: How Blogs Help to Run Business More Successfully. 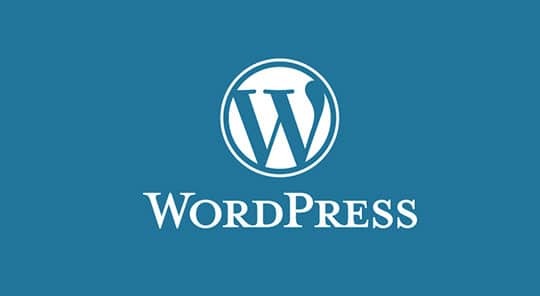 You can make a blog as well as full-fledged website by using WordPress. From WordPress you will get free tools through which you can make a great website or blog. They also have premium versions plans for getting more help or assistance. You will get the facility of customizing your design with an easy effort and it is done. There are more than 370 beautiful and attractive themes in their showcase. You can choose according to your requirements and can customize it according to your needs. You can implement share buttons to share your website or blog into the world of social media like Tumblr, Facebook, LinkedIn, twitter and more. You can track your website or blog visitor statistics and how they have found you? You can create and read your website contents from your WordPress mobile app. So now no needs to restrict your creativity only into desktop. Go and enjoy your contents with mobile app for your Blackberry, Android, and iPad. There are lots of other features like spam protections, excellent support systems, media insertion facility into your post and the option for multi author blog. You can create you blog in more than 50 languages. Blogger is another free blog or website making platform after WordPress. Let’s know its features. In Blogger you will get the chance to create a blog with a subdomain. For an example it will be like this subdomain.blogspot.com or yourbusiness.blogspot.com. In future if you want your site to look more professional then you can purchase a separate domain of your choice and then you can merge that with your existing free Blogger blog. You will get a good and well-designed platform for posting your contents. The posting sections of Blogger are kept very user friendly. Anyone can post or write anything very easily by using their simple text editor. Their text editor is having lots of customizable tools which will help to input text of your requirements and you can also put HTML coding for writing your contents or post. Addition you will get the facility of tagging your post with other links, you can add custom linking of those posts, tagging its descriptions with commenting systems and many more. In Blogger you can easily modify your blog design any time. You will also get lots of useful widgets through which you can change the looking of your blogs by simply dragging them according to your requirements. You will get full widgets assistance from them and as well as for your third party scripts. In Blogger you will get free templates from where you can choose your own one by just clicking it out. Next you will get full help or assistance in designing your templates without being a coder or programmer. You can even download any of your favorite templates and can use it for your blogs. You will get fully editable HTML by using their HTML editor. You can also use a mobile friendly template that can be viewed by the mobile visitors. Blogger also provides a details visitor statistics to know your visitors well. Tumblr is a complete free platform to make blogs. There is no bandwidth or storage limits. They have kept the process very easy and simple so that anyone can use their platform for making 100% out of it. In Tumblr you will get wide variety of themes with HTML support system. It is a very easy job to post your contents, videos, audios, photos, links, chats, and quotes over Tumblr. Whatever you want and how you want, you can use your Tumblr for that. Wix is having lots of stunning features. The dragging and dropping assistance is great. You can easily customize your blog according to your wish by just using your mouse and their drag-drop option. You will get your free and reliable blog with custom domain facility. You can get to use their apps market through which you can get the chance to establish your blog. They will also help you to make your blog mobile friendly with a one-page beautiful template. You can make your website looks great and stunning by using their stunning templates, image editor, beautiful stock images, 40+ galleries, video backgrounds, strips, anchor menus and parallax 3D effects. You can add unlimited web pages, protected pages; videos and audios as well as HTML embed code. Social media buttons and Facebook apps can be added into your blogs. Even you will get an eCommerce option to create an online storefront. You can manage and keep a track of your orders and can accept payments easily and securely. They even not deduct any commission on your sale. Isn’t it great! You can also make your store a worldwide shopping zone by creating a customized tax and shipping rules for each country. So anyone from anywhere can purchase your products or services without any hassle. You will also get the options for making your online store into a mobile friendly store. Along with this you can create your one touch mobile app for your online store. In their business tool they will get to save all your business related information’s like contacts, site members and subscribers names, and customers’ names in one place. So that in future if your need to them you can get the information’s quickly. Using their site analytics tools you can keep track for all your visitors’ numbers, their locations, and which browsers they are using. You will get personal Google mailbox, ShoutOut email marketing service, with SEO, financial and communication tool options. And with “Wix smart actions” you can send prompt emails to your customers and subscribers. In Blog you will get lots of free features like focusing and explaining your own field with a special theme and layout facility for your blog. There is option of multi author blog. They also provide statistic analytic services where you can track you visitors through Google Analytics tool. You can share your post to any of the social networks like Facebook. You will get full-fledged support system so that you should not lose track of your blog for any reasons. You will also get SEO support systems along with lots of widgets and menus to attract your visitors. There are also multimedia and privacy support systems available for your blog for making it extra attractive and safe. And if still you need any help and support from them for whatever reasons they will remain for you all time. Great design options for your blog. Can manage your image for using in the blog. Audio Collections: You can upload your music easily. Not only that you can also share and design you music with lots of player and album art display. Lots of share buttons for connecting with social media network. “Site Controller Tools” to control your website. Unlimited products you can sell. No limits in eCommerce. Lots of apps like – Note, Metrics, & Blog Apps. Lots of logos are there for customers. You can choose according to your requirements. And for non-customers per logo will cost $10. Good and reliable architectural service. You can use Google Apps for your business or for your own purpose. They provide a robust internal search engine. As a result of that, your readers or visitors will get you with accurate search results. Import or export your blog content from/to any other platforms. Their support systems are very good. You will get 24/7 support systems for any of your needs. Powerful SEO tools for maintaining the SEO of your website. Using of social media network buttons for driving more traffic to your website. Making the site mobile friendly. You will get help and assistance for listing your website in local directories for getting more responses after learning the business details from you. Options to add videos and photos to your galleries. Web analytics tools for tracking your viewers. Options of creating a Web Store or eCommerce store blog. In other options you will get the custom domain name, cloud hosting facility, email addresses, drag, and drop tools for an easy job, customization of themes, calendars and many more. From Weebly, you will get a professionally and technically strong website. They are having lots of easy installing features. Just visit their site and use their drag and drop buttons to make your job done, as simple as that. Their edit systems are just similar to a word processor. So go and add contents, photos, videos and maps to your website and your website is just ready. So it is a simple and easy work to create a website over there. Their way of thinking is little but very fresh and natural. You will be free to write just what you want. Then just add pictures if you want. Then just publish it and your work is done. They use a Markdown formatting style for all their works. You can use their Markdown formatting style or HTML to finish up your work. So go and try out their system to make your job perfectly done. At Zoho Sites, you can build up a new website in just a minute. You will have to use their drag and drop builder buttons to take full control in creating your website. No technical experience is required to make a website through them. In this article, we have tried to provide you full assistance regarding the free platforms which can be the best for you to use while making your blog absolutely free but safe. Explore each option along with their features and choose the best that fit with your personal needs. Wish you all the best in your upcoming blogging journey. Be safe and keep blogging!